Former WWF superstar Jimmy "Superfly" Snuka has been arrested for the 1983 murder of his girlfriend in a hotel room in Allentown. Authorities allege that Snuka beat 23-year-old Nancy Argentino of Brooklyn to death in the Lehigh County motel room she was found in following a WWF event. Snuka has maintained his innocence for the past 32 years. He was been charged with third-degree murder and involuntary manslaughter. 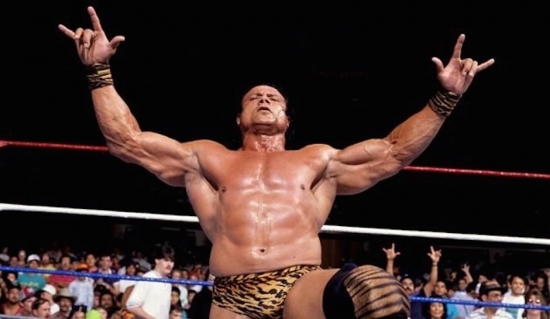 72-year-old Snuka, who currently resides in Waterford Township, New Jersey, is being held in Lehigh County Jail in lieu of $100,000 bail. He was inducted into the Hall of Fame in 1996. A workplace dispute this morning in Havertown ended with two people in custody and one with a cut neck. Police were called to the 1500 block of Lawrence Road just after 11:30 a.m. for the report of an altercation. One worker had a minor laceration on his neck caused by another worker. He was treated at the scene. Both men were taken into custody and charged with aggravated assault and related charges. Their identities have not been released. There is no word on what immediately caused the fight other than this was an ongoing dispute. Yesterday, Philadelphia Eagles LB Conor Barwin cut the ribbon on the newly renovated Ralph Brooks Park in Point Breeze. The park, located at 20th and Tasker Streets in South Philadelphia, was a collaboration between Barwin's own Make the World Better Foundation, Parks and Recreation, Councilman Johnson, Urban Roots, Philly Rising, the Mural Arts Program, the 25th Foundation and Philadelphia Water. They renovated the playground, upgraded rain water recycling, added a Steve Powers mural, community gardens, and new basketball court. MTWB raised money through donations as well as two benefit concerts at Union Transfer featuring Parquet Courts, Mac Demarco, Marian Hill, The Suffers, Kurt Vile & The Violators, The Districts, and The Tontons. Their next project will be Smith Playground in South Philadelphia.